I am very pleased to announce the appointment of Vima Dhaliah-Utchanah as Distinguished Global Ambassador, Mauritius on the Global Ambassadors Committee of VOMI Global Think Tank and Advisory Board. Ms. Vima Boomah Devi Dhaliah-Utchanah, a native and resident of Mauritius, has over 30 years of diversified professional experience in the financial services industry and quasi-governmental institutions. She was among the first qualified Stockbrokers in Mauritius and was actively involved in the setting up of the Mauritius Stock Exchange in 1989. She joined the State Investment Corporation in 1988 as Investment Executive and was the Group Investment Coordination Manager until July 2015. 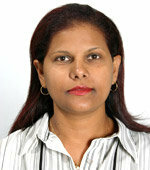 Vima has also been a Non-Executive Director on the board of several companies where the Group has invested including the Mauritius Freeport Development Company Ltd and State Insurance Company of Mauritius Ltd. She is also a Professional Member (MBCS) of BCS, The Chartered Institute for IT, UK and a Fellow of the Mauritius Institute of Directors (MIoD). Vima is currently in the dissertation phase for a Doctorate in Business Administration at the University of Liverpool. She holds a Master of Science in Information Technology (MSc IT) from the University of Liverpool; a Postgraduate Diploma in International Commercial Law from the University of Northumbria; and a Masters in Business Administration (MBA). She speaks and writes English and French fluently.